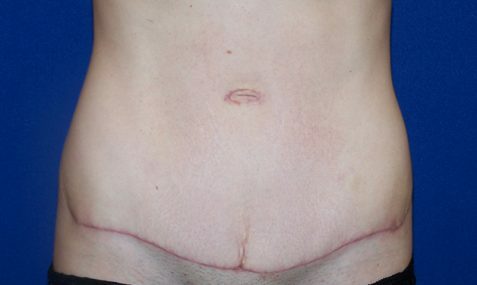 Abdominoplasty (or ‘Tummy Tuck’) is one of the most common procedures done after childbirth, however, it is not just restricted to women. We have male and female patients who have undergone abdominoplasty for medically-necessary or cosmetic purposes, with great results across the board. A flatter midsection with improved abdominal strength. 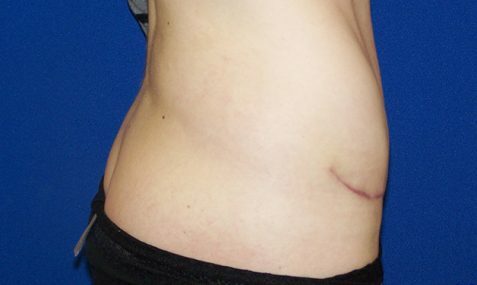 A tummy tuck involves contouring the abdomen. Since there are three main layers of the abdomen—skin, fat and muscle—some or all of them must be addressed at the time of the surgery. The skin is the easy layer. It’s what we see and often what we identify in the mirror as being the problem. This is typically true after massive weight loss but in the most common scenario, represents only part of the problem. You certainly would not want to remove all the excess skin without thinning the flank/hip region and making that a pleasing and ‘pinched’ curvature. For this reason, liposuction in some form, is almost always part of the tummy tuck procedure. It is not just your skin that gets ‘stretched out’ by pregnancy. The muscular layers of the abdominal wall can be spread apart and rendered partially inactive from both pregnancy and prior surgery. In abdominoplasty, this gets repaired as well (think of a corset but the laces turned to the front). Needless to say, not all people need all layers repaired. That’s what makes the difference between full abdominoplasty, limited or mini abdominoplasty and simply liposuction. Tummy Tucks are a safe method of changing the contour of one’s trunk and abdomen with long lasting and dramatic results. This is often done as an outpatient surgery with moderate recovery times.